If you are the last of those lucky Mohicans still using iOS 8 and earlier, the troubleshooter below is for you. Starting with iOS 9 and further, Apple has restricted what iPhone and iPad users can do with their apps. Today you are no longer able to back up iPhone and iPad apps to your PC at all. 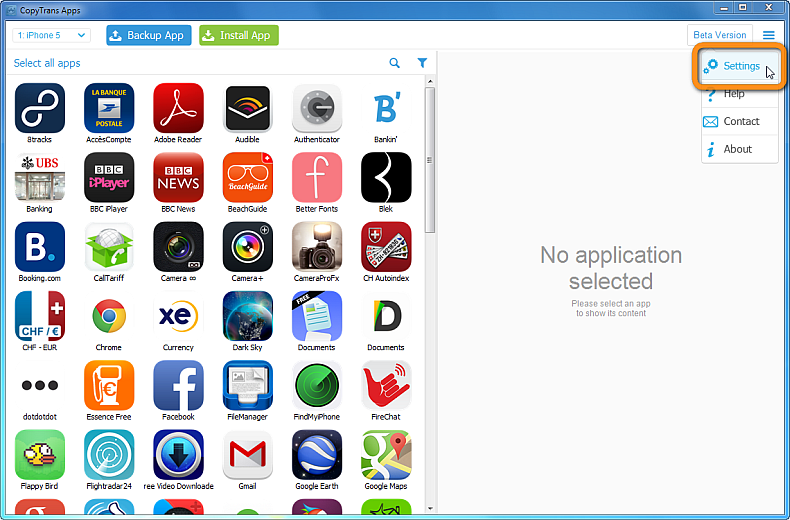 This means that we had to disable the backup of apps in CopyTrans Apps. In some cases the backup of one or multiple iPhone, iPad, or iPod Touch apps fails because of a connection error between your iOS device and the PC/program. Please follow the steps below to resolve the issue. 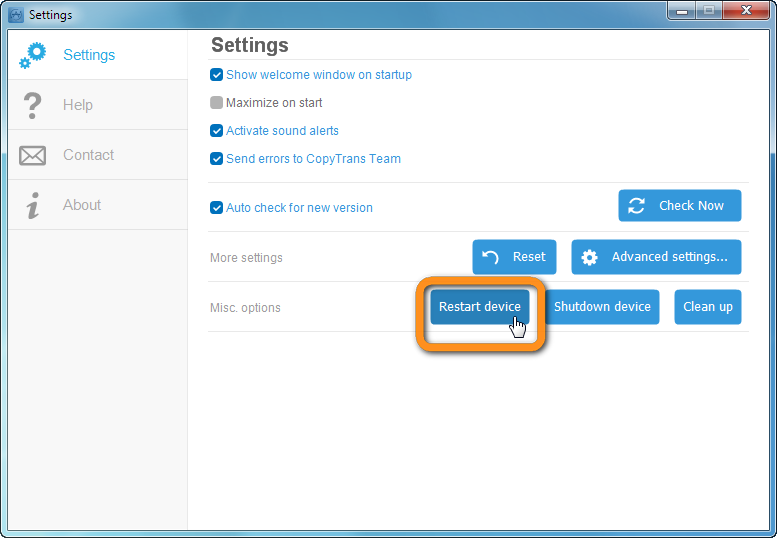 Once the apps load in the main CopyTrans Apps window, retry the backup. If the above mentioned steps do not help, please follow these troubleshooting tips to fix the connection between your iOS device and the PC. Some apps still fail to back up? Don’t hesitate to contact our Support team.